Before we throw the creators of Awesome Screenshot under the bus, let’s be clear: we’re not suggesting they are purposefully doing something malicious. More likely they’ve packaged their extension with 3rd party code that allows them to earn money by anonymously gathering/selling user’s browser history- not much different than allowing cookies on your computer. But it seems the code executed by Awesome Screenshot (or their ad partners) is taking some liberties that we wouldn’t suggest you tolerate. Exactly what information is being shared with who is unknown, but there’s enough evidence that we suggest you be (at the very least) suspicious and uneasy. Let’s not forget that this isn’t only about unauthorized access to password protected sites: sites like YouTube, GitHub, and Google Docs allow you to create “private links” that aren’t intended for anyone’s eyes except those with whom you share the link. These are being tracked and recorded, too. The folks at Awesome Screenshot have seen similar complaints about adware that injects ads. While they’ve addressed these concerns directly on Twitter – showing they’re not hiding from customers – it seems the issues have yet to be resolved. 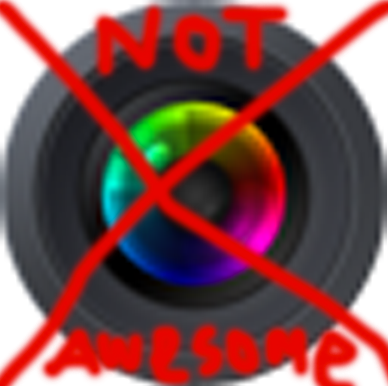 We’d like to give the folks at Awesome Screenshot the benefit of the doubt because they’ve made an awesome product that millions of people enjoy. However, our benefit of the doubt extends only to our presumption of their intent; we still cannot recommend using the extension so long as it’s still accessing this sensitive info. 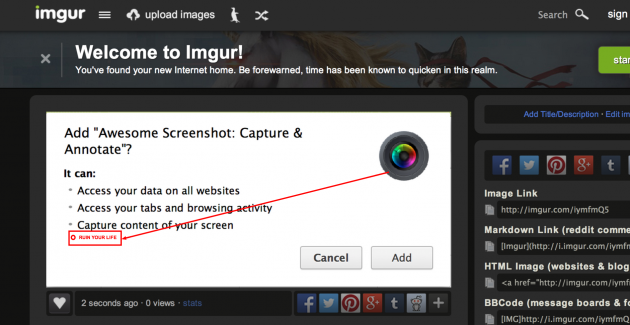 Please pass this info on to any Chrome users who might also use Awesome Screenshot by sharing this article. The Awesome Screenshot Chrome extension is perhaps only one of its kind to let the current window scroll while Capturing Selected Area (TL;DR: scrolling window capture feature). What a disappointment that a scrolling window capture feature should be a must-have in every desktop screenshot-capturing program/app/add-on (including Chrome). 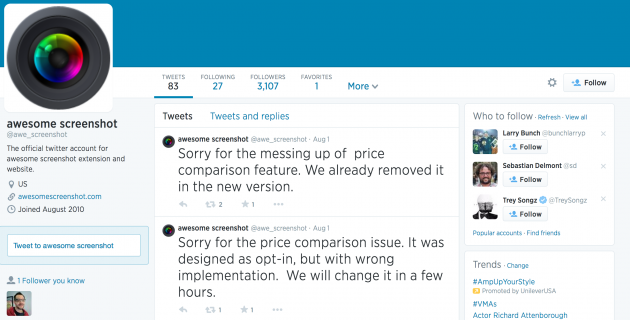 Awesome Screenshot’s official Twitter account isn’t updated sine August 1. I wrote the original article about this at mig5.net. Just letting you know that the latest version (as at 25th August) of Awesome Screenshot, v 3.7.12, now contains a hidden ‘Opt Out’ setting in the extension’s preferences page. However, it is *enabled* by default, so no behaviour changes out-of-the-box. Users need to manually opt-out after install or upgrade. Searching for a better extension to replace this terrible photo viewer on my Chromebook. Don’t want one online. Can you suggest? And thanks for the data re Awesome Screenshot ….posted to my friends on FB. Check out Snagit for Google Chrome, scrolling capture was just added a few weeks ago. Thanks for the heads up Rob!! I fortunately never used Awesome Screenshot. Also check out nimbus, better than this garbage anyway. Have you been able to evaluate the current (2016) release of Awesome Screenshot extension? It’s still flagged in MalwareBytes as containing adware but neither Chrome nor Safari show any option to uncheck the options for the search tool in the current extension, so maybe it’s been removed by the developer?